Mariola studied Biotechnology (BSc) at the University of Silesia in Poland and undertook her MSc in Analytical Bioscience at the University of Huddersfield. She then did her PhD in Dr Mark Pfuhl’s lab at King’s College London where she investigated the function of MS1 protein, a cardiac stress response factor. 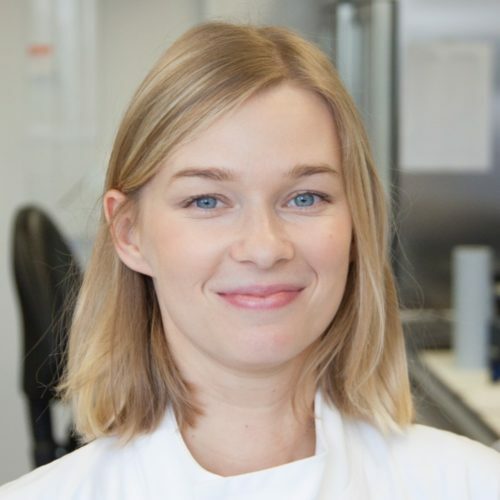 For her postdoctoral research, she joined Dr Rachel Tribe’s lab at King’s College London where she studied expression of Kv7 potassium channels in human myometrium. She then joined Dr Tony Jackson’s lab at University of Cambridge where she characterised the role of extracellular loops of Nav sodium channels. Mariola joined Sebastian’s lab in July 2017. On the Ca2+ binding and conformational change in EF-hand domains: Experimental evidence of Ca2+-saturated intermediates of N-domain of calmodulin. Electrostatics effects on Ca(2+) binding and conformational changes in EF-hand domains: Functional implications for EF-hand proteins. The Cardiac Stress Response Factor Ms1 Can Bind to DNA and Has a Function in the Nucleus. A structural and functional dissection of the cardiac stress response factor MS1.